TRIESTE, Italy — La Spaziale will present at TriestEspresso Expo (Hall 27 – Stand 51-53) Vittoria, the new professional coffee machine for restaurant industry with high performance and functionality. La Spaziale is coming back to TriestEspresso Expo with a new proposal for portioned coffee market. 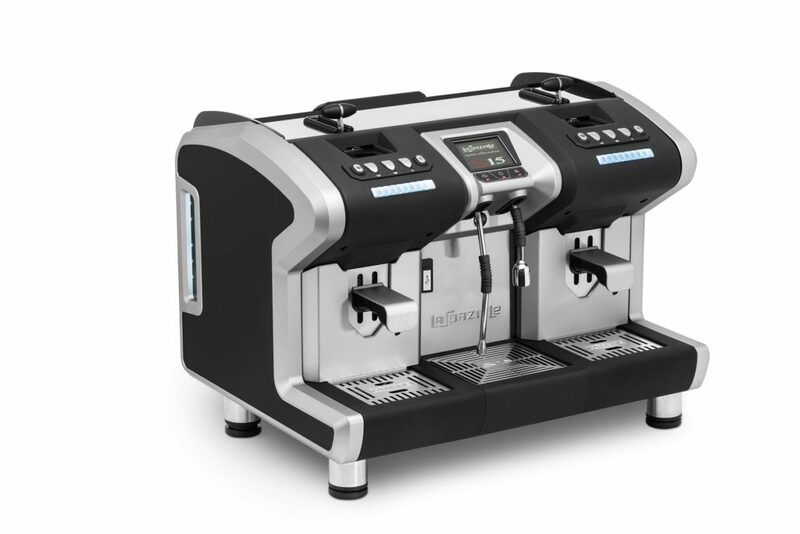 From 25th to 27th October the bolognaise company will present at Trieste Expo Vittoria, the professional 2 group compact machine, available in EK automatic and EP semiautomatic version, which is inheriting the same flexibility of use of the S1 Armonia in the configuration for coffee, pods or capsules while allowing a larger number of cup deliveries. For over 20 years, La Spaziale has strongly invested in the study, development and application of closed and patented portioned coffee systems (both pods and capsules) to professional coffee machines, ever since portioned coffee was still representing a very tiny “market niche”. The recent growing success of portioned coffee and the constant and deep experience gained by La Spaziale with pod and capsule systems has turned out to be valuable for the accomplishment of S1 Armonia, with adaptable portafilter to different capsule formats and of the most recent S15, which is mostly addressed to foreign markets and whose groups with automatic capsule ejection are entirely dedicated to various capsule formats of various drink types. 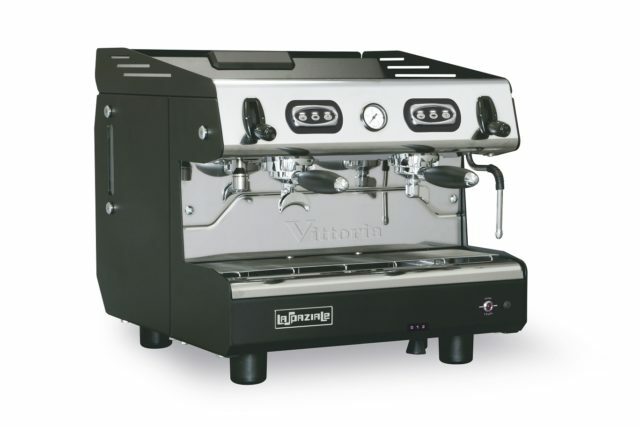 Vittoria comes out as a solution for portioned coffee market with the same performance and functionality of a professional espresso coffee machine. Thanks to heat exchange system, it boasts the consistency and thermal stability of a traditional coffee machine, inheriting also the wide upper cup tray of a 2 group compact. Compared to S1 Armonia it also offers a higher performance in terms of coffee deliveries as it has a high capacity 5 liter inner tank with water feed from above – which therefore makes water connection optional – and a highly performing 5 liter boiler. Electronic 2 group coffee machine, with automatic and proportioned dose setting (EK VERSION). 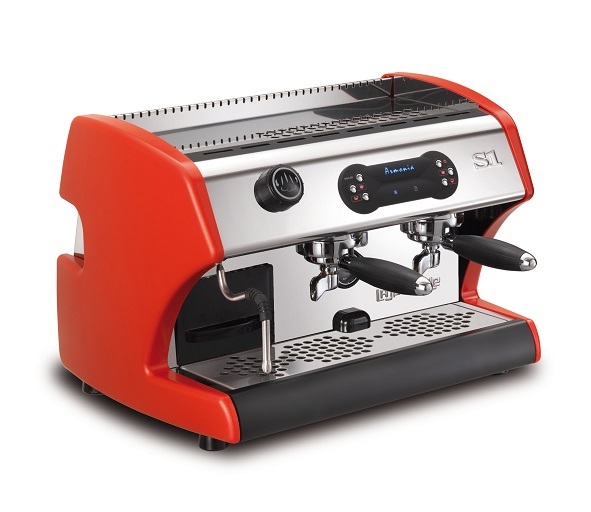 Semiautomatic 2 group coffee machine, with free flow delivery (EP version). Delivery of ground coffee, pod or capsule, depending on the configuration required. Built-in in adjustable pump for each delivery group. 1 hot water outlet / 1 steam wand. Indicator to warn of lack of water in the tank. Inner 5 liker tank with water feed from above. Upper cup tray capacity of about 54 cups. Dimensions: Width 550 mm – Height 530 mm – Depth620 mm. Power supply and absorption: 220/240 Vac – 3000 W with standard heating element – 3500 W with upgraded heating element. It was founded in 1969, it is headquartered in Casalecchio di Reno (BO) and it is successfully entirely managed by the Cacciari Maccagnani family. After almost half a century of business activity, with 4 venues in Italy and 3 branch offices abroad (USA, Brazil and Romania) and more than 100 distributors all over the world, the company still believes in the values which have made it a key reference point all over the world in the industry: ensuring a high-quality level in the cup for Italian Espresso through a reliable and technologically advanced espresso coffee machine, without neglecting the design.